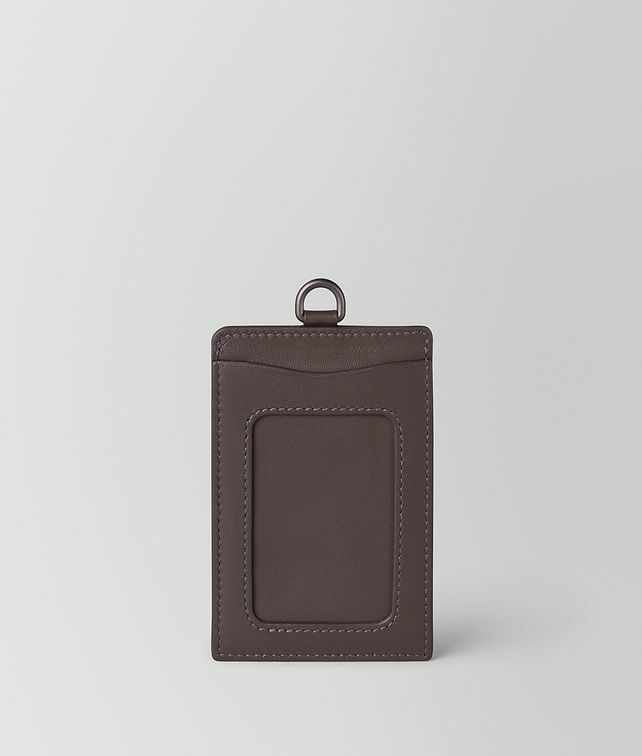 A practical travel accessory, this card case is hand-crafted in nappa intrecciato and features a single card slot and an open ID window on the front. Use the brunito-finish ring to fasten it to your luggage or day bag. Width: 7.3 cm | 2.9"